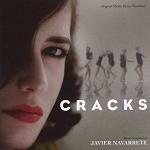 Javier Navarrete was born in 1956 in Teruel in the Aragón region of Spain, a city renowned for its colourful fiestas and acclaimed pottery. 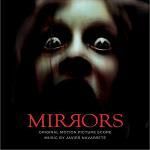 After scoring a couple of TV works and the short film Mayumea, he signed his first serious contract with director Agusti Villaronga in 1987 for the disturbing cult horror film "In a Glass Cage" (Tras el Cristal). 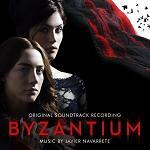 Due to the film's extreme content Navarrete's music never got much consideration. This is very unfortunate; the score for "In a Glass Cage" is a slow-burning and very elegant piece of work. The same can be said about the film, whose title refers to the iron lung providing life support for a paralysed Nazi doctor. 1989 turned out to be a fantastic year for Navarrete in which the artist got to score two heavy-weight films: "Una Ombra en el Jardi" and "La Banyera". Following on from some movie shorts, a third collaboration with director Agusti Villaronga in 2000 put Navarrete back in the limelight again. "The Sea" (El Mar) was a critical success and led the composer to score "The Devil's Backbone" for Guillermo Del Toro the following year. 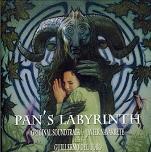 Pan's Labyrinth, Navarrete's second Guillermo Del Toro film, is the composer's magnum opus. It propelled him onto the forefront of film score music in 2006 and exposed his music to a worldwide audience. Since then the composer has done very well both in film and in television. The Life: What's Your Pleasure? - or just "The Life" starring Daryl Hannah, based on the best-selling book by Isabel Pisano called "Yo puta" or "Whore"
Navarrete's musical contribution to Spanish television has largely been through TV Movies, although he also scored 2 episodes from the documentary series "Arsenal Atlas". Arsenal Atlas - scoring 2 episodes of this Spanish documentary series, both set in India "Dehli: Namaste" and "Kerala-Tamil Nadu: 2 Elephants"